Kate Lanphear attends the Burberry Brit Rhythm Men's Launch in New York at Irving Plaza on October 17, 2013 in New York City. 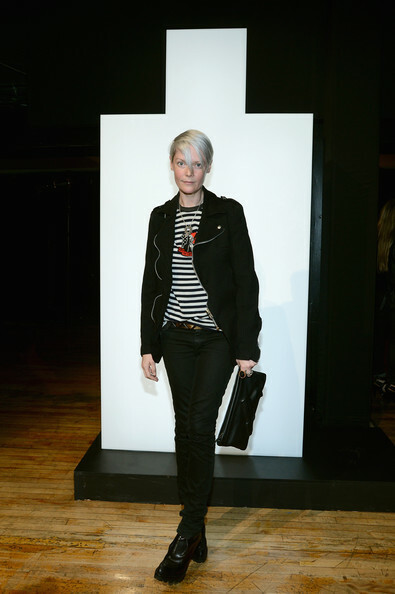 Kate Lanphear layered a black motorcycle jacket over a striped shirt for the Burberry Brit Rhythm Men's launch. Kate Lanphear finished off her edgy-casual outfit with a pair of black skinny jeans.